CONSTANTINE: CITY OF DEMONS THE MOVIE Coming to Blu-Ray! I haven’t really caught too many CONSTANTINE animations over the years. 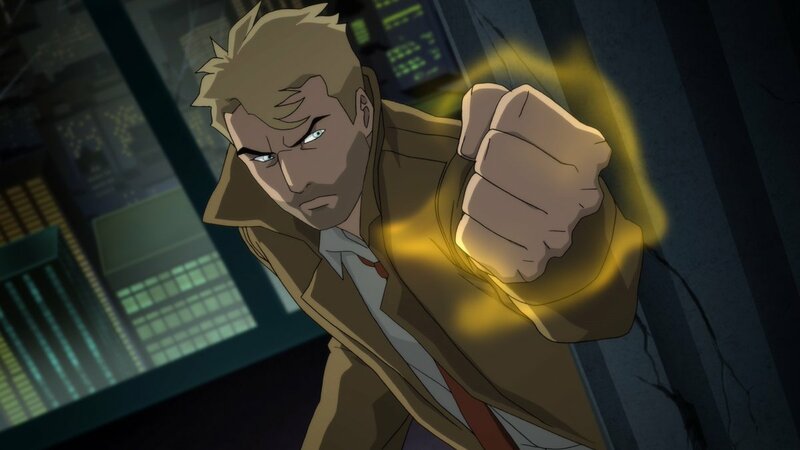 Now that I’m looking into it, I don’t even know how on Earth I missed CW’s animated CONSTANTINE: CITY OF DEMONS TV series. I’m ashamed to call myself a cartoon geek. Perhaps there is a reason I haven’t heard about it, I wonder? Seems unlikely, the show has an 8.3/10 on IMDB, but that isn’t always accurate. I’ll have to check it out and judge for myself! CW apparently put the first five episodes of the animated CONSTANTINE series on their streaming service CW Seed. Everybody and their grandma has their own freaking streaming service these days. Those five episodes left a story unfinished about helping an old friend save his daughter from a mysterious demonic coma after a tragic accident, and so this concept is being turned into a full length animated feature by the same name . This looks alright. I’m very interested in seeing it, but I think I will check out those five episodes first! CONSTANTINE: CITY OF DEMONS THE MOVIE comes out on ULTRA HD BLU-RAY™ COMBO PACK, BLU-RAY™ COMBO PACK, & DIGITAL on October 9th 2018.